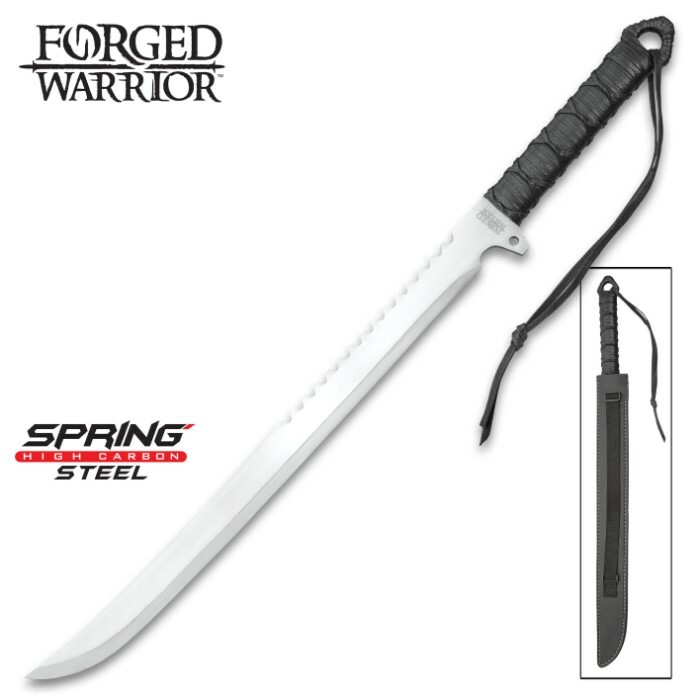 Forged Warrior Ninja Knife - High Carbon Spring Steel One-Piece Construction, Wax Rope Wrapped Handle, Lanyard Hole - Length 29 9/10” | BUDK.com - Knives & Swords At The Lowest Prices! A modern-day Ninja needs to have effective tools of the trade to work with when out on a job that requires quick and decisive action. Our solid, one-piece high carbon spring steel Forged Warrior Ninja Knife will slash and slice its way through whatever covert mission you undertake. Among the toughest of all high carbon steels, “spring” steel is renowned for its incredible yield strength, unmatched deformation resistance and astounding ability to return to its original shape after being subjected to extreme bending, twisting and other stress. 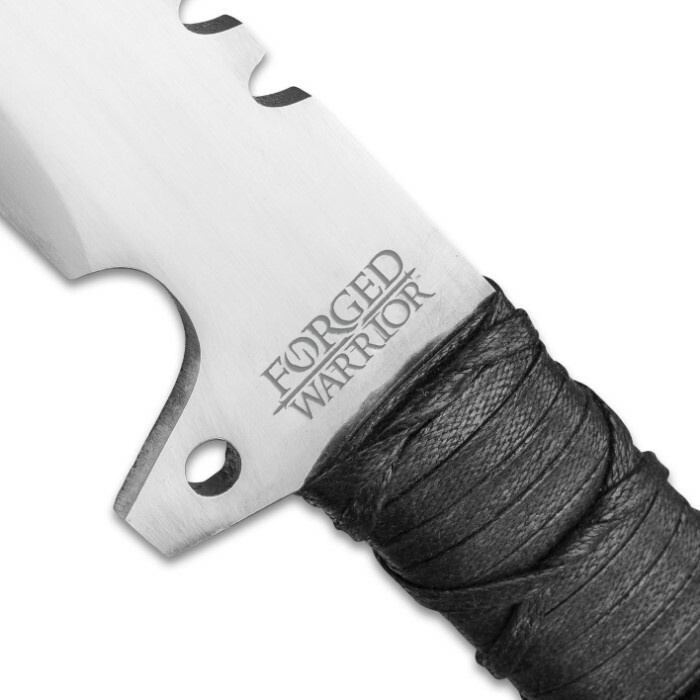 Its keenly sharp, 20 9/10” blade has serrations on the spine, which makes it built for serious action. 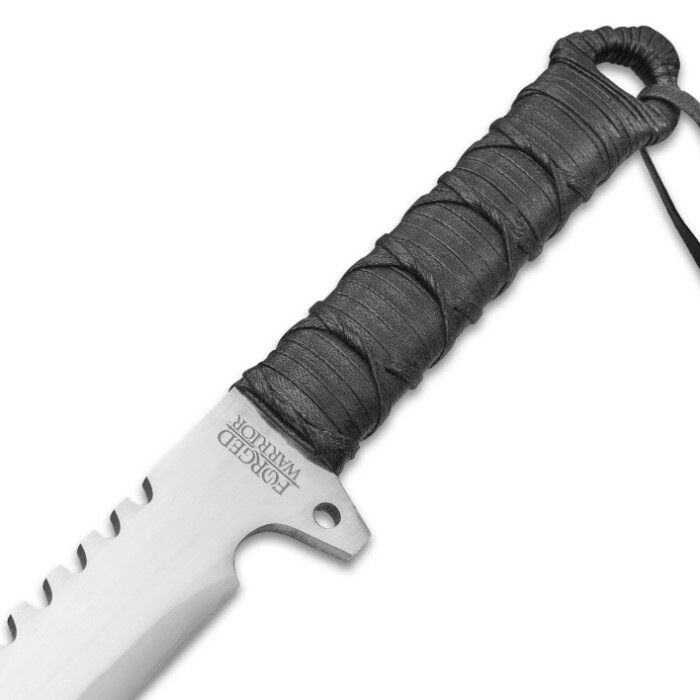 The waxed rope wrapped handle has a comfortable, no-slip grip to afford you maximum efficiency when using the long knife. A waxed cord wrapped lanyard hole at the end of the handle gives you a variety of options of carry. Very well made and durable. 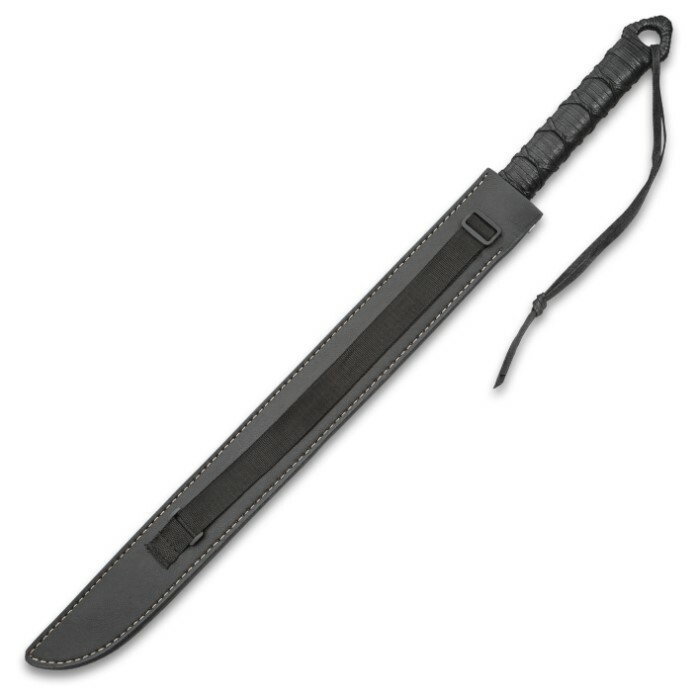 This blade is heavy and requires strong hands to control. 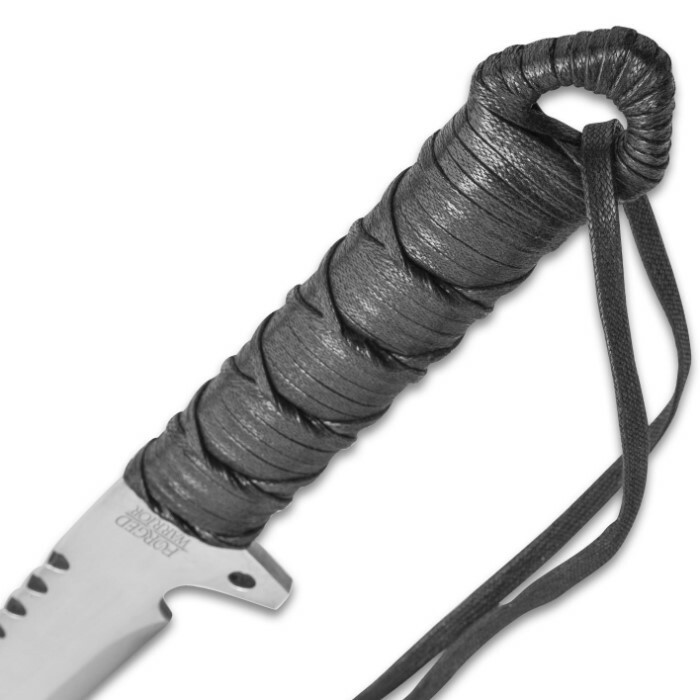 If grip does not suit your hands, wrap with paracord. I did this and the grip feel is perfect. 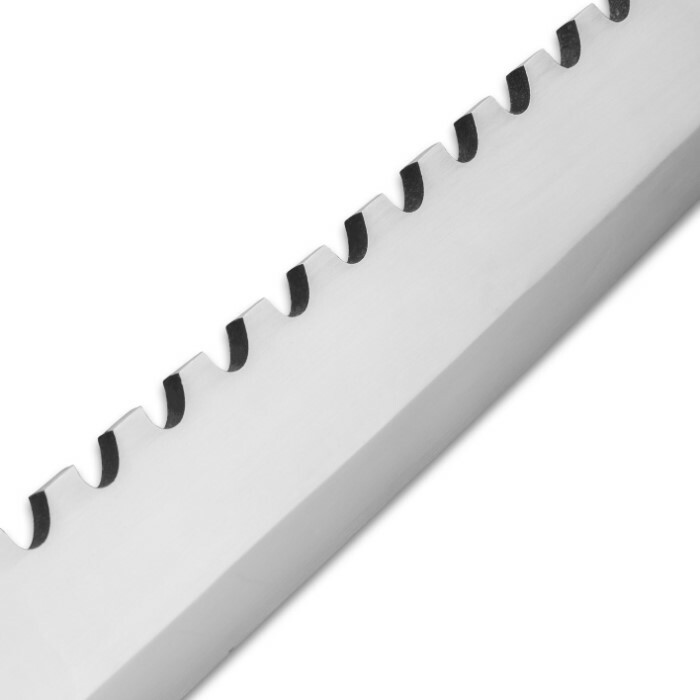 The only gripe is the blade is not keenly sharp. You will need to sharpen properly. Four stars for rather dull blade.